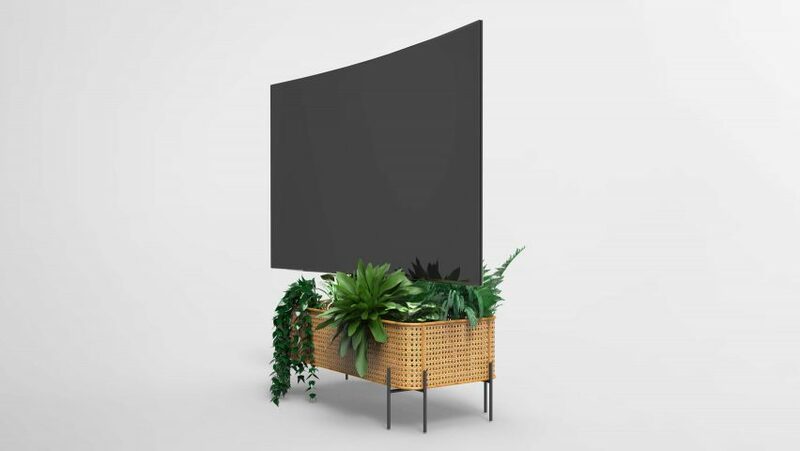 Dezeen promotion: the final five designs in Dezeen and Samsung's QLED TV stand design competition include a stand that doubles as a plant pot and another that can be used as a clothes rack. 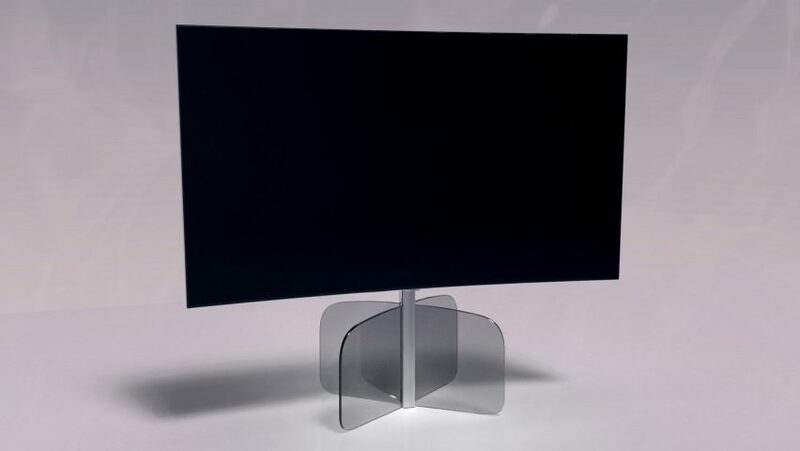 The final designs were narrowed from a 15-strong shortlist of innovative stand concepts for Samsung's QLED TV. 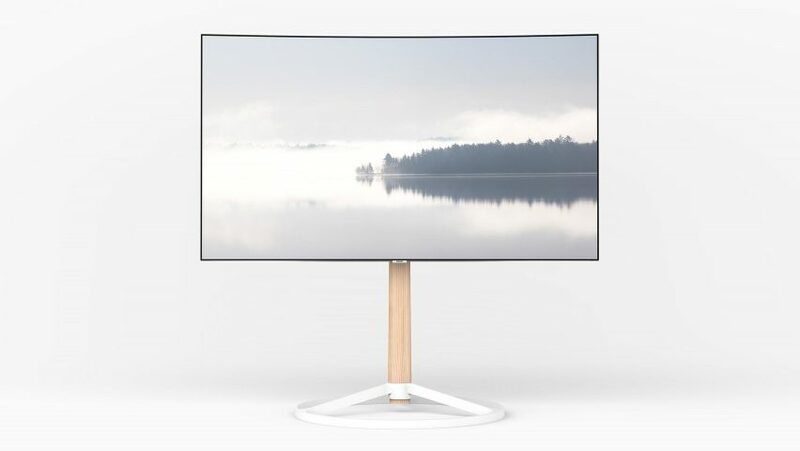 They also include a retro-looking curved glass design, a simple modular design and a two-legged adjustable stand called Flamingo. Each designer outlined not only the concept behind their design and its target audience, but also suggested retail price and production details. "We feel very proud that entrants have understood Samsung's switch from a focus on pure product design to lifestyle design," said the brand. "The finalists have thought of not only originality but also the manufacturability of their designs." The finalists – who come from countries including Australia, Greece and Turkey – will all present their designs to a judging panel at electronics trade show IFA in Berlin this weekend. The four runners up will be awarded €3,000 (£2,760), and the winner – who will be announced by 13 September – will receive €8,000 (£7,360). The 10 other shortlisted designers each received €1,000 (£920) bring the prize pot total to €30,000 (£27,675). 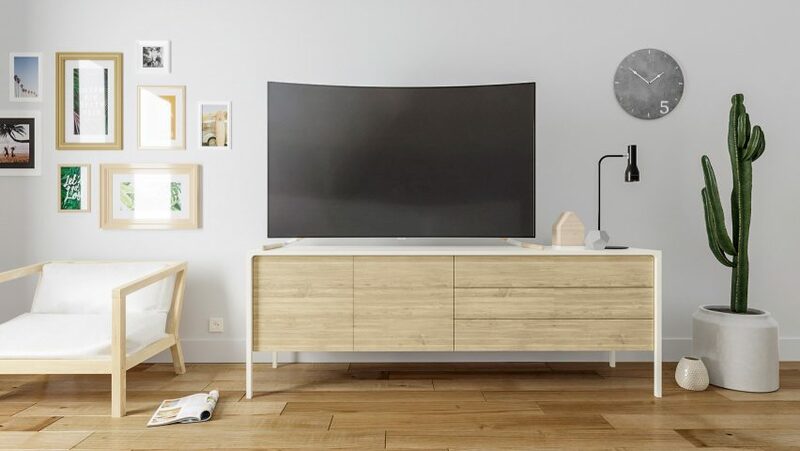 The judges applauded Martina Krastev's design for giving the Samsung QLED TV a "green touch" and showing a "completely different approach to TV stands". 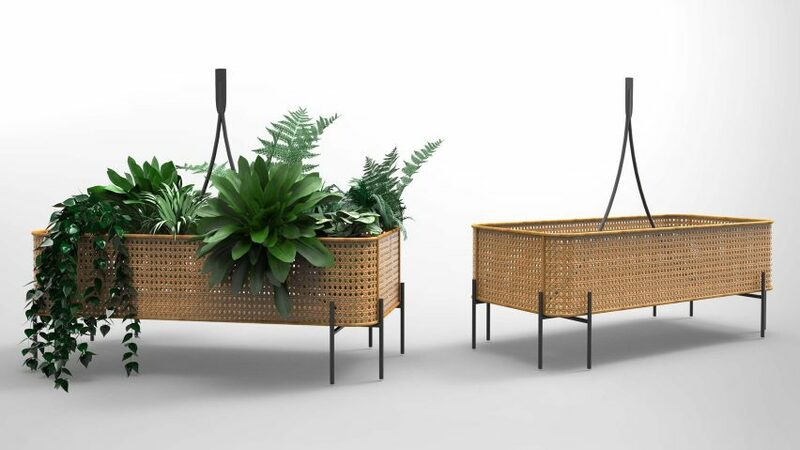 PlantLife, which would be constructed from a handwoven rattan basket on slender steel legs, would double as a plant holder. 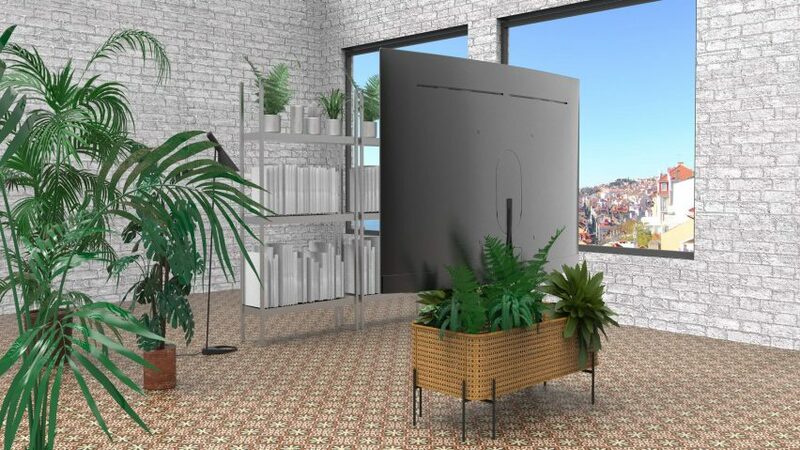 It was designed with a "new tribe of plant lovers" in mind, who live mostly in apartments in crowded cities but have created their own mini gardens. Krastev emphasised that PlantLife's combination of nature and technology was its strongest selling point. She also points out that this would make the stand well-suited to many styles of interior and to a broad range of retailers – including pop-up shops and lifestyle boutiques. Krastev priced her stand at €200 to €250 (£184 to £230). The judges described London design studio Blond's submission as a "multifunctional but simple design", and were impressed by its retail potential. Personality is a modular stand, made up of three parts that slot together. Customers could mix and match different versions of these elements in order to find a stand that suits the interior of their home. One of the proposed parts is an "audio leg" that is wrapped in Kvadrat fabrics. 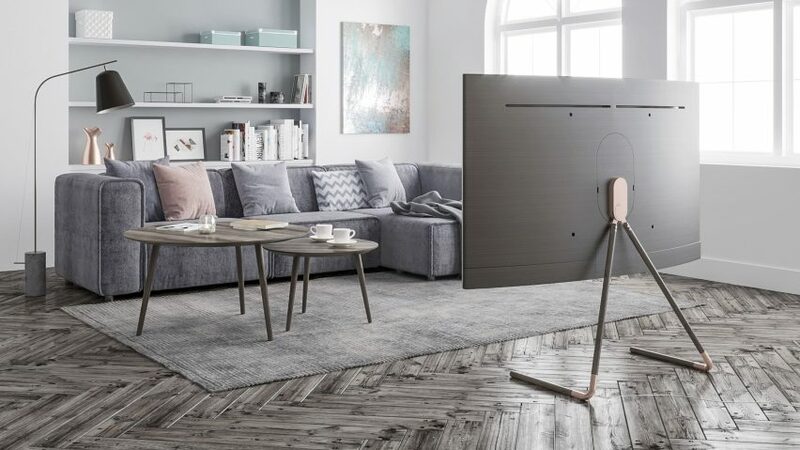 Blond suggests that customers could configure their stand using a tool on the Samsung website, meaning some popular variants would be kept in stock by stores and others made to order – mirroring the furniture industry. 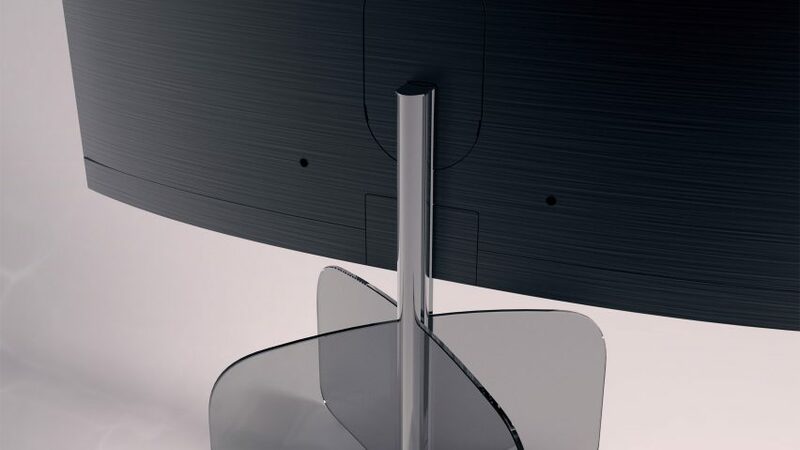 The price would range from €500 to €1,500 (£460 to £1,360) dependant on the chosen configuration, with the most expensive including the audio leg. 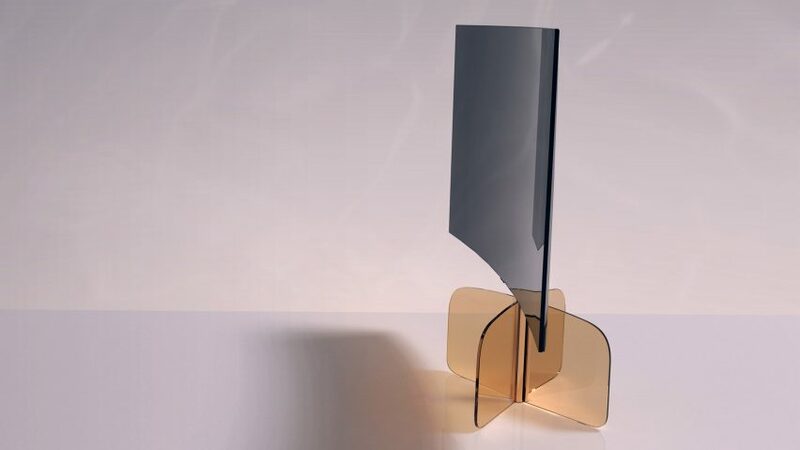 The judges said that it was not so much a case of love at first sight with Manuel Fernandez Rubio's stand design but rather they fell for the details behind the "simple idea and basic mechanics". 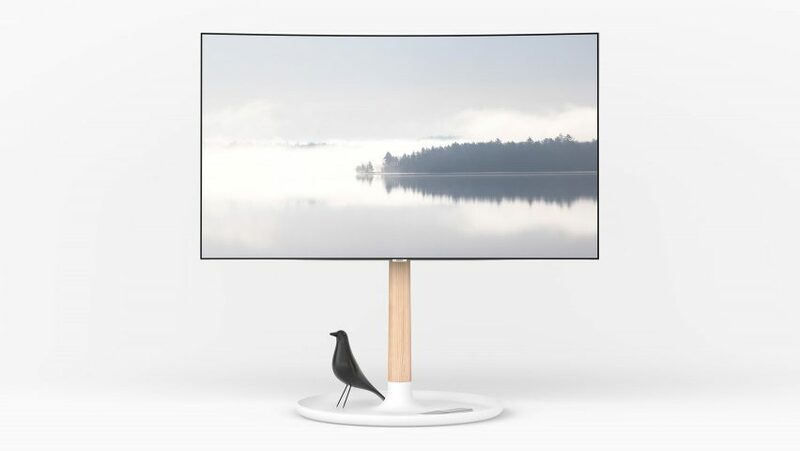 The stand's design comprises a pair of thin L-shaped legs, which from which its name, Flamingo, is taken. 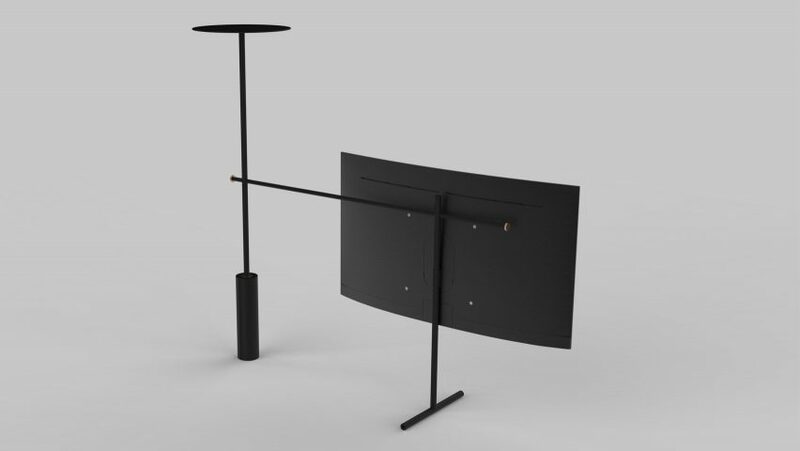 The legs would be attached to the TV with a joint mechanism that allows users to change the stand's height and adjust it easily from wall-mounted to freestanding. 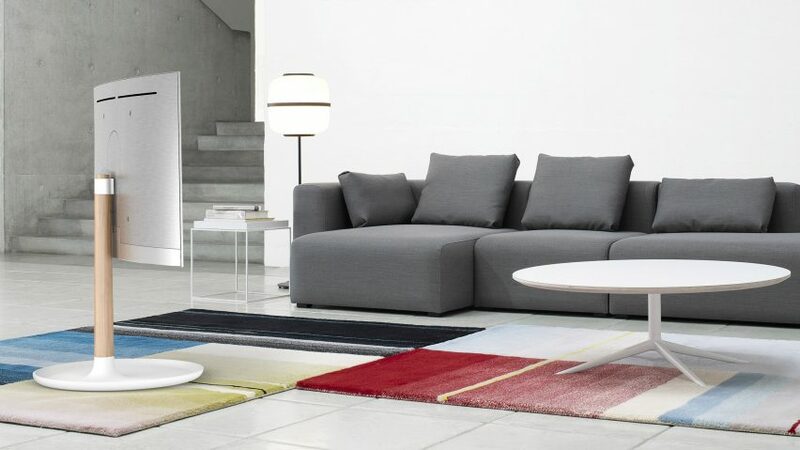 Rubio also proposed that users could customise their stand by choosing from a range of colours and materials. The designer said he sees the target market as young people with secure jobs who consider "technology an important part of their lives and possess the latest gadgets and apps". He estimates a retail price of €250 to €350 (£230 to £322) would suit the design. It was the "retro look and retro materials" of Rene Walk's Butterfly stand that grabbed the judges attention. The stand would be constructed from four identical, tinted glass panels with curved edges that slot into a central aluminium extrusion. The glass and core would be available in smoke, gold, rose-gold or crystal clear. 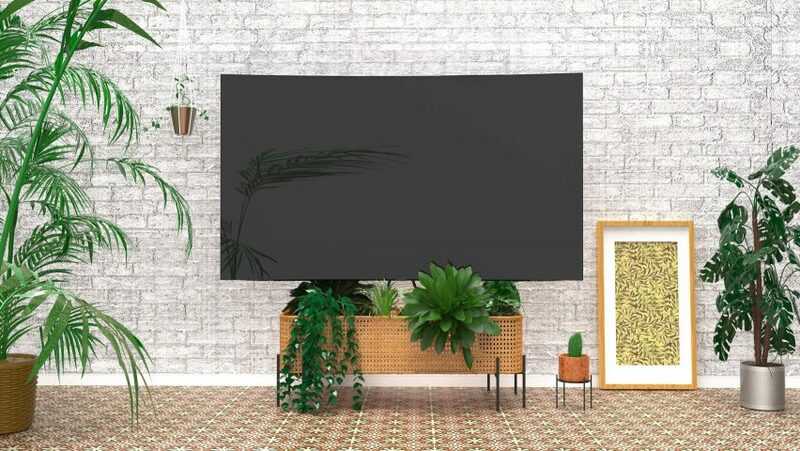 Despite being flat-packed, the design is targeted at affluent consumers who aim to "impress their guests". Walk suggests that it would be sold in upmarket shops and advertised via glossy magazines like Vogue and Elle Décor. Walk's stand has one of the more expensive estimated retail prices at €899 (£827). 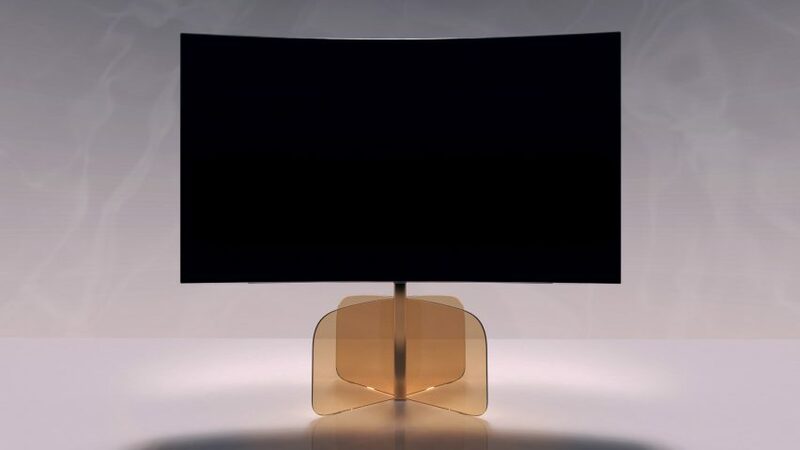 The Samsung team were most impressed by the way Fulden Dehneli's stand symbolises the brand's shift from "being focused on just product design to exploring lifestyle design". 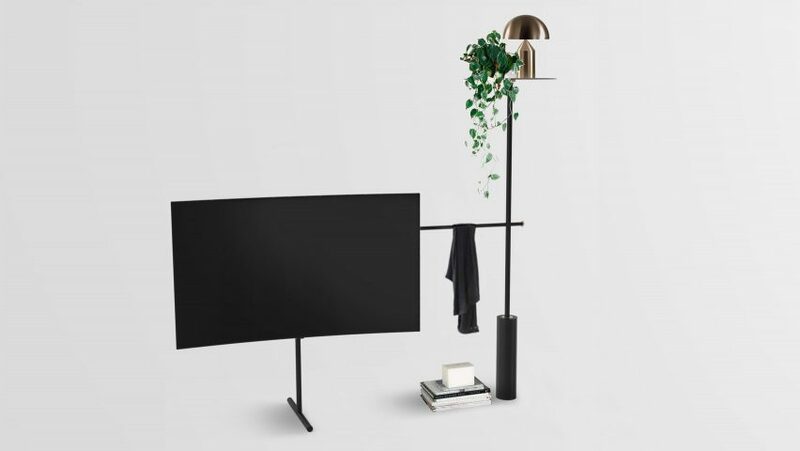 The designer created the stand as a means to make people engage with their TV more, rather than it being a standalone object. 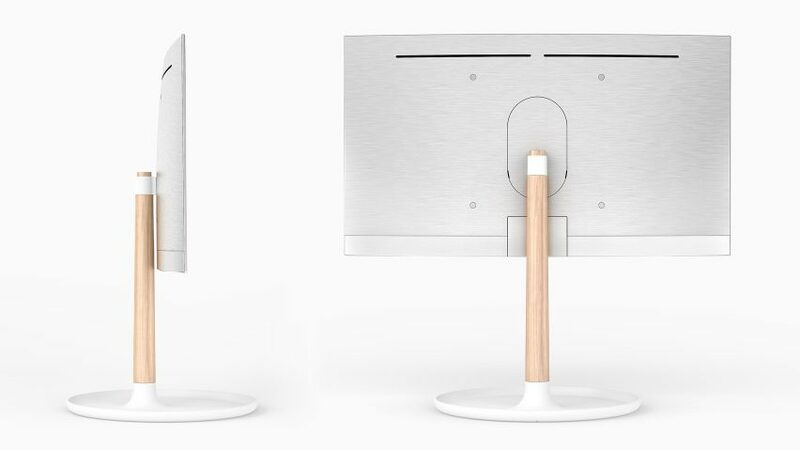 Dehneli says the stand design is part of a trend that aims to "humanise" technology. RøR consequently incorporates a circular shelf and a frame to hang things from. The Scandinavian-inspired design is made from powder-coated metal tubes, along with a weighted element. 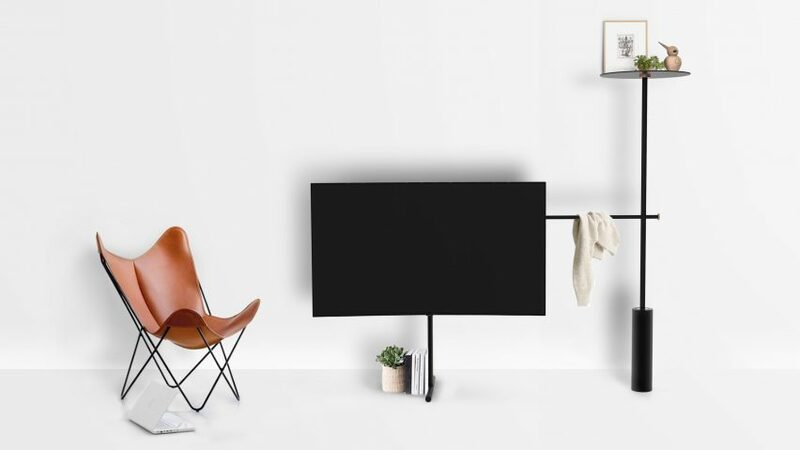 Dehneli suggests that the frame also offers opportunities for Samsung to release accessories and material upgrades, for example, a marble or concrete shelf. The retail price for RøR is estimated at €200 to €300 (£184 to £276).